People are rightly very exercised about the proposed hospital cuts and A&E closure – but the proposals to move hospital services into the “community” are equally devastating. This bit of the “Right Care Right Place Right Time” shake up – which should really be called “Less Care, Fragmented Hither and Yon” – has the potential to wreak destruction on the bit of the NHS that most of us use more than anything else – our GP/primary care services. There is no real evidence that “Care Closer to Home” will serve its stated purpose of reducing emergency hospital admissions of patients with Ambulatory Care Sensitive Conditions conditions (ie cardiovascular and respiratory ailments) and patients with Conditions Not Requiring Admission – mostly frail elderly people’s illnesses and children’s “complex needs”. What follows is based on information drawn from the Right Care Right Time Right Place Pre Consultation Business Case (PCBC) – and from other sources, as the PCBC is full of holes . Which services would be moved out of hospitals into the “community”? Where in the community would these services go? How would these services work in the community? What is Patients’ Self care all about? Which services do they want to move of the hospitals into “the community”? Hospital services that Calderdale Care Closer to Home (CC2H) Phase 2 wants to move into the community are those that care for people with Ambulatory Care Sensitive Conditions (in other words, people going to A&E because of illnesses and frailty that wouldn’t have got so bad if they’d been better looked after) and CNRA- Conditions Not Requiring Admission. Respiratory and Cardio vascular disease. 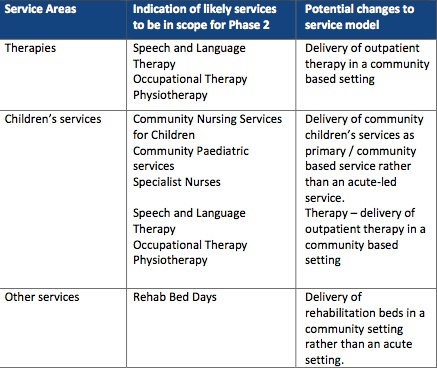 Many of these are planned care services – so, how many of the planned care services will actually end up in the new 119-bed Huddersfield planned care clinic? There is little or no evidence to support the assumption that moving services out of the hospitals into the Care Closer to Home scheme will reduce avoidable acute and emergency hospital admissions. “a close look at the data highlights a dearth of evidence on the impact of integrated care”. This is a 2014 review of the Right Care Right Time Right Place proposal to move services out of the hospitals, published in OurNHS. Social care has been plagued for decades by cuts, outsourcing and piecemeal privatisation of services, leaving many staff on zero hour contracts and service users with 15 minutes sessions of care. There are very real fears that the integration of health and social care will mean the plundering of already inadequate NHS budgets to prop up local government services. The danger is that under local authority rules, integrated health and social care will mean that there will be means-tested charges for services rather than the NHS principle of services funded from general taxation. The outcome may be a devolved, deregulated, local service, partly privatised, its social care component already 90% privatised, facing a meltdown in local authority finance, competing with other localities for patients and funds, with local pay and conditions for health workers, and all branded as “integrated”. Where in the community do they want to put these services? “…developing plans to maximise our use of community estate” (p46). (This is about trying to make the white elephant Todmorden Health Centre – which was built as a Darzi clinic – pay its way). “primary and community care staff will also work closely with secondary care and social services through some of the models outlined in the NHS Five Year Forward View” (p 42). A recent Greater Huddersfield Clinical Commissioning Group Governing Body meeting approved a plan to close 4 GP practices in Huddersfield and replace them with a new-build Primary/Community Care “hub” on the old Kirklees College site, that would have 10K patients. 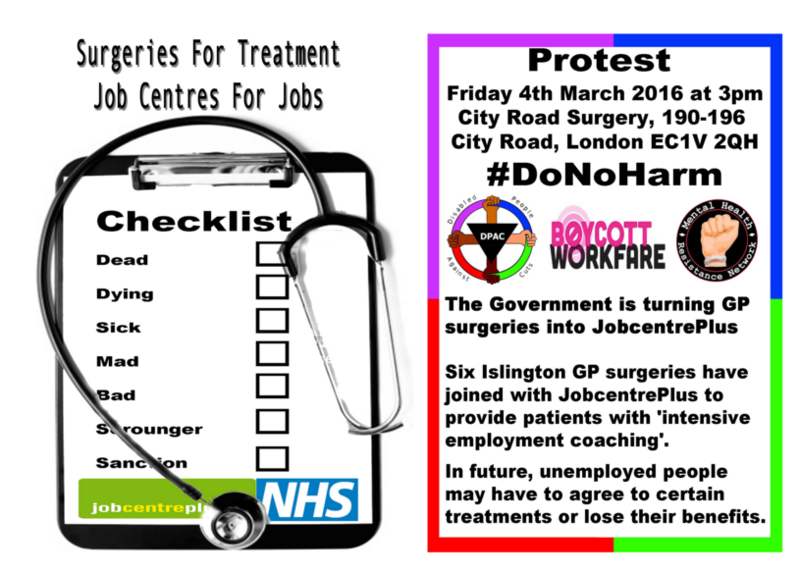 This is part of a national trend to move towards huge GP practices run by private companies. This is how they aim to cut hospital costs. Although the costs of providing decent community/home-based care are high. So if they were to do it right, it probably wouldn’t save money. “whether the care closer to home vision is achievable financially”. Greater Huddersfield CCG Care Closer to Home – Plans and Phase 2 (Pre Consultation Business Case p 49) says they are planning to make £2m cash releasing “efficiency savings” (ie cut spending on some things by £2m/year, so that £2m extra dosh is available for something else) – and it will take 4 years to achieve this. On p 139 of the Pre Consultation Business Case, the Clinical Senate notes that the CCGs have not worked out how to avoid “fractured delivery of care to patients”, given the complex integrated system, and that the CCGs are planning to commission a lead provider for their Care Closer to Home schemes. The Clinical Senate say that the Care Closer to Home scheme won’t work unless GPs support it. Which is a bit of a no-brainer, so why mention it? – the clear implication being that otherwise patients will be lost in a maze of fragmented services providing by a slew of subcontractors each with a little bit of the action handed out to them by the “lead provider”. The Clinical Senate also had a few things to say about the CCGs’ plans for moving end of life care into the community and having palliative care principally delivered in the community (Pre Consultation Business Case on p71). It found that the Care Closer to Home specifications were unclear about the role and responsibility of the end of life care coordinator and about the processes of delivering end of life care in the community. What if people have nowhere out of the hospital to go and be cared for while they die? A friend of mine says if it gets to that stage, she and her partner plan to go up on the tops, pitch their tent and wait for hypothermia to do the job. The Clinical Senate say they can’t certify that the proposed community services specifications would generate the required quality of care. This is because the Community Services Specifications’ “visionary style” hampered their efforts to review the proposed functions and capacity of the new system and the risks associated with the service transformation. The Calderdale Care Closer to Home Phase 2 model (Pre Consultation Business Case p 44) is laid out differently from Greater Huddersfield’s but boils down to much the same things. Let’s hope they’re better at this than Cambridgeshire and Peterborough CCG, who were unable to manage a huge 5 year “care of the elderly in the community” contract they awarded – after spending £1m on the procurement process, and after 8 months the contractor handed back the contract and walked away. As a result, there is no telling if Care Closer to Home will provide the required standard of care. (For more info, please see the section Lack of information about the Primary Care Strategy and how to ‘mitigate risks to patient care’, in Care Closer to Home part 3 – link coming soon. What? Where are they going to be deflected to? Are they proposing that this extra 50% of frail adults will basically be told to sod off and look after themselves? This is according to a document I obtained through a Freedom of Information request. It all sounds a bit like North Korea to me. Why should the patients, carers and health workers who are going to be affected by Care Closer to Home need their “mindsets” “realigning” to its “vision”? Particularly since the CCGs are at pains to say that Care Closer to Home is giving patients what they’ve told the CCGs they want. But “resilience” and “enabling and empowering people” are code words for cutting public services, making patients and carers take the burden of care, and radically downgrading clinicians’ working practices, terms and conditions. This entry was posted in News & views, Social fairness and tagged Care Closer to Home, Consultation, lack of evidence, Right Care Right Care Time Right Place by jenny. Bookmark the permalink.